Written on September 19, 2011 . Posted in Foundation Studies, Updates from & for Faculty. Wendy Seller (Assistant Professor, Foundation Studies) had two new works selected into the international juried exhibition, Night of 100 Angels, shown at and co-sponsored by the Whelan Galleries and Cottage Gallery in Laguna Beach, California. 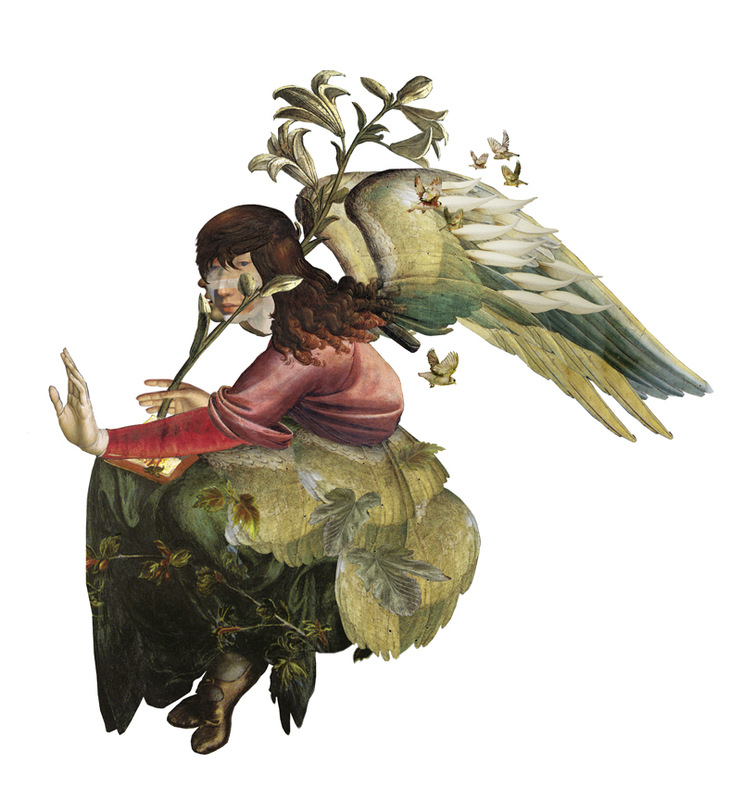 Her digital collage “Angelic Girl” received 2nd Prize in the “digital” category. (Exhibition dates August 20-September 20, 2011) Two of her new digital collages will be included in the next issue of Studio Visit published by Open Studios Press, available in October 2011.